Definition at line 192 of file win32.h. Definition at line 198 of file win32.h. Referenced by IntMapDesktopView(), IntUnmapDesktopView(), MapGlobalUserHeap(), and UnmapGlobalUserHeap(). Definition at line 195 of file win32.h. 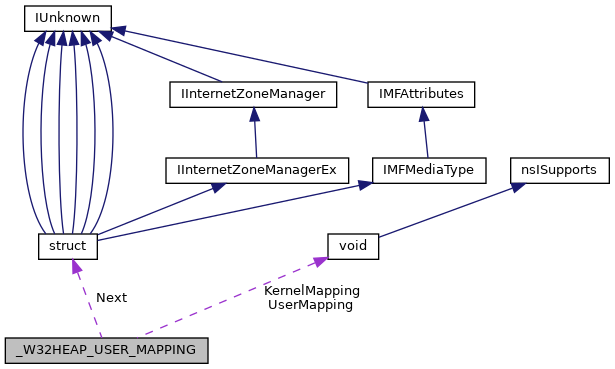 Referenced by IntMapDesktopView(), IntUnmapDesktopView(), MapGlobalUserHeap(), NtUserProcessConnect(), and UnmapGlobalUserHeap(). Definition at line 197 of file win32.h. Referenced by IntMapDesktopView(), and MapGlobalUserHeap(). Definition at line 194 of file win32.h. Referenced by DesktopHeapAddressToUser(), DesktopHeapGetUserDelta(), IntMapDesktopView(), IntUnmapDesktopView(), and MapGlobalUserHeap(). Referenced by IntMapDesktopView(), IntUnmapDesktopView(), MapGlobalUserHeap(), NtUserProcessConnect(), UnmapGlobalUserHeap(), and UserHeapAddressToUser().